Mossback's Grill has great food and views for the PIB traveler. 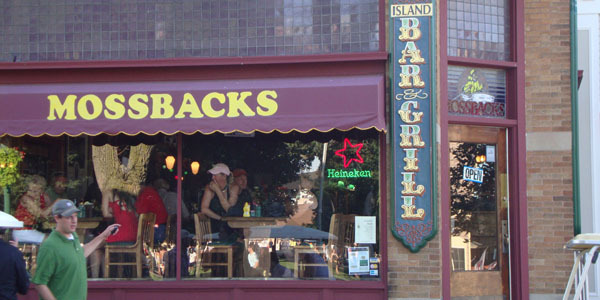 Offering a wide selection of signature burgers, sandwiches and dinner options, Mossback's is the place to eat. The décor is warm and inviting and they strive to make your meal memorable. So whether your looking for a great lunch with friends or a romantic dinner, Mossback's at Put-in-Bay is for you!